Qatar Will Pull Out Of OPEC, As Rift With Saudi Arabia Deepens Qatar made the announcement early Monday — the same day it informed OPEC it is withdrawing from the group. The country says it wants to focus on producing natural gas. Qatar will officially exit OPEC on Jan. 1, the country's energy minister, Saad al-Kaabi, said at a news conference in Doha on Monday. Saudi Arabia cut diplomatic ties with Qatar in June of 2017 in a dramatic move that was matched by Egypt, the United Arab Emirates and others. Since then, Saudi Arabia has maintained a boycott against Qatar, a country that has sometimes pursued its own foreign policy goals against the will of its fellow Sunni states. "Riyadh made a series of demands aimed at reining in its ambitious smaller neighbor, including that Qatar close down the Al Jazeera news channel," as NPR's Peter Kenyon reports. Other complaints have centered on Qatar's support for the Arab Spring uprisings and its relationships with Iran — a country with which it shares a gas field in the Persian Gulf. 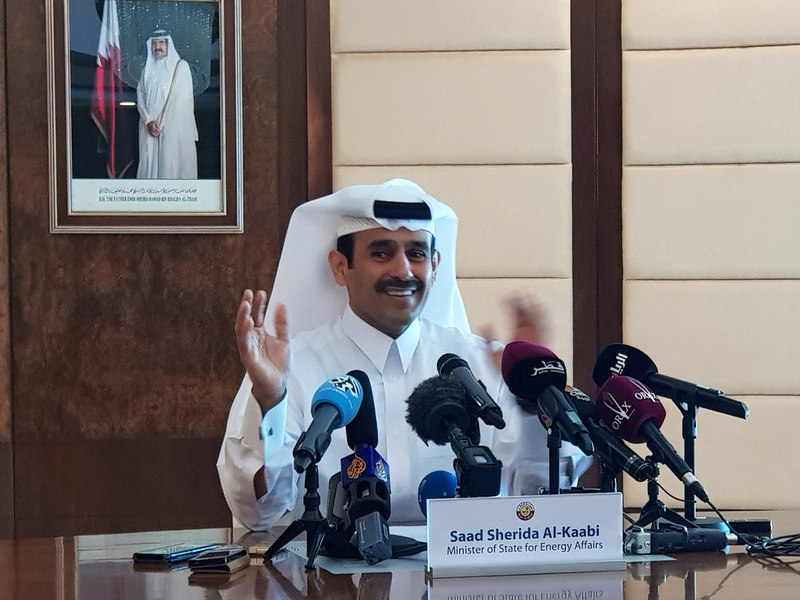 Qatar's exit from the Organization of Petroleum Exporting Countries will become official on Jan. 1, 2019, Kaabi said at a news conference in Doha on Monday. The country will still attend the group's winter meeting in Vienna, which is scheduled to begin on Thursday. Qatar joined OPEC in 1961, one year after the group was founded in Baghdad. OPEC currently has 15 members, including Saudi Arabia's rival, Iran. At the start of 2018, OPEC members controlled 82 percent of the world's crude oil reserves, the group said. Qatar accounted for about 2 percent of that total. Kaabi described the withdrawal from OPEC as purely a business move, saying Qatar wants to boost its natural gas production from 77 million tons yearly to 110 million tons. "I would like to reaffirm Qatar's pride in its international standing at the forefront of the natural gas producers, and the biggest LNG producer in the world, as the cleanest fossil fuel known to mankind," he said. State oil producer Qatar Petroleum confirmed the decision and amplified Kaabi's remarks on its Twitter account, quoting him saying the pullout from OPEC is part of a "future strategy based on growth and expansion, both in its activities at home and abroad." Kaabi announced the break with OPEC just weeks after he was appointed to the energy minister post. In addition to holding that job, he is also the president and CEO of Qatar Petroleum. Describing reactions to the decision in the business world, Kenyon reports that prices jumped in early trading Monday, with analysts citing hopes for easing trade tensions between the U.S. and China, along with Qatar's withdrawal from OPEC. OPEC is expected to limit oil production when it meets later this week. As Kenyon says, "reports from Moscow indicate that Russian leader Vladimir Putin is willing to extend their agreement, known as 'OPEC Plus,' aimed at managing oil production. Any specific production cuts, however, remain to be negotiated." Over the nearly 60 years of OPEC's existence, three member countries have either suspended or terminated their membership, but none of those countries were Arab Gulf states, and two of them — Ecuador and Gabon — later resumed their ties. The third country is Indonesia, a net importer of oil, which froze its membership in 2016.